Lomachenko as good as Ali: R-e-a-l-l-y? VASYL LOMACHENKO will take on fellow Olympic legend Guillermo Rigondeaux this weekend in one of the most anticipated showdowns in years. It will be the first time two double Olympic Gold medal-winning fighters have faced off in boxing history. 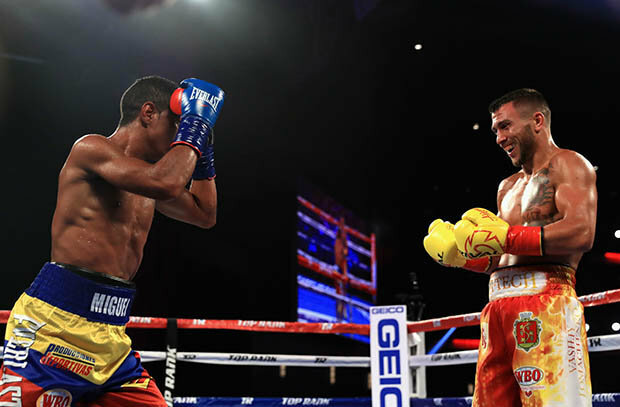 Ukrainian Lomachenko, 29, will head into the fight a slight favourite over his 37-year-old Cuban rival Rigondeaux – but for many, the contest is too tough to call.Between them, the pair racked up 872 fights during their amateur careers, tasting defeat a combined total of 14 times. 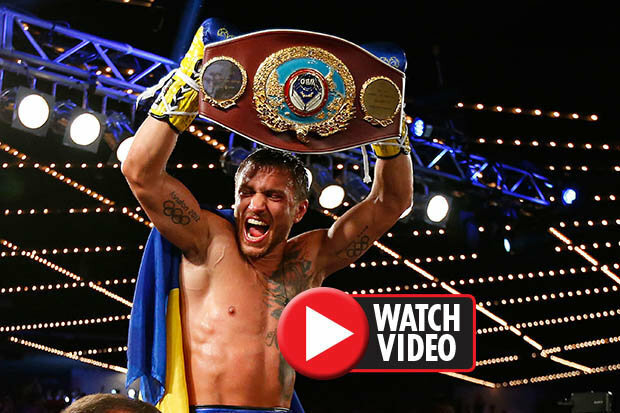 But it is Lomachenko about whom most of the fuss has been made this week, with boxing pundits running out of superlatives to describe the silky WBO super-featherweight champion. “I am telling you without any reservation that Vasyl Lomachenko is the greatest fighter that I’ve seen since Muhammad Ali,” legendary promoter Bob Arum told the BBC earlier this week. His last professional fight, a masterclass against Miguel Marriaga, demonstrated his otherworldly ability. Lomachenko, nicknamed Hi-Tech, danced rings around the Colombian, forcing him to retire on his stool after the seventh round.Boxing writer Steve Bunce, who spoke exclusively to Daily Star Online last week, described Lomachenko as “a man blessed with such ridiculous physical agility, timing and speed that when he performs his routines in the gym it looks like sorcery”. In the early hours of Sunday morning, in front of a sold-out crowd at New York’s Madison Square Garden, fight fans will get the chance to discover whether the hype is justified.